There are many reasons parents might give their babies up for adoption. For example the parents may not be financially stable enough to raise a child, or it might have been a completely unplanned pregnancy and the parents’ families are not being supportive at all, or maybe the mother is still in school, or the parents are mentally unfit or drug addicts. Whatever the reason may be, most of the children either stay in the foster care system or are given up for adoption. A child may be brought up with very loving parents, but they might want to find out more about their cultural background and biological family. If you are trying to locate your birth parents, hiring a private investigator can be extremely helpful. How Can a Private Detective Help? Finding an individual you have never met before can either be easy or tremendously difficult. It may be possible to find them if you know their names or location as then they can pop up in an online search. However, if you have no clue where to find your birth parents, then it can be very troublesome and frustrating not knowing where to start. This is where the expertise of a private investigator from Oklahoma City can save the day. They are trained to research deeply about their case, and those skills are exactly what you need if you are trying to find someone. And sometimes, it is not enough to use just search engines and social media accounts to find someone. In most cases, a private investigator from OKC would also be able to access special databases and software that are not easily available. 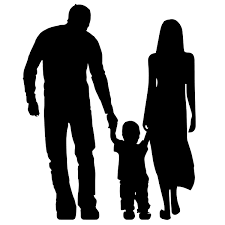 Try to give them as much information as possible to work with, in order to smoothly find your biological parents. It is more than likely that the private investigator you hire will be able to find your parents. However, it is crucial to understand that in the case that the detective does find your parents but they do not want you to know where they are, the private investigator is not at liberty to disclose their location to you. Even if the parents agree on disclosing information about themselves to you, remember not to expect too much, as anything unexpected could turn up. There is also a chance that the investigator is unable to find your parents, so you should be prepared for that too. Like the saying goes: hope for the best but expect the worst.